We have a reputation for high quality, clean and well-appointed bedrooms. Scroll down to choose the perfect room for you. High Quality king size bed, en-suite with Flat Screen LCD TV, complimentary toiletry welcome pack, hospitality tray, FREE Wi-Fi Internet access, hairdryer and clock radio alarm. Sleeps 2, minimum age of guest 4 yrs. The master bedroom. Exquisite luxury with a super king size bed, bay window and sea views. En-suite with power shower, 37in flat screen TV, complimentary toiletry welcome pack, hospitality tray, FREE Wi-Fi Internet access, hairdryer and clock radio alarm. 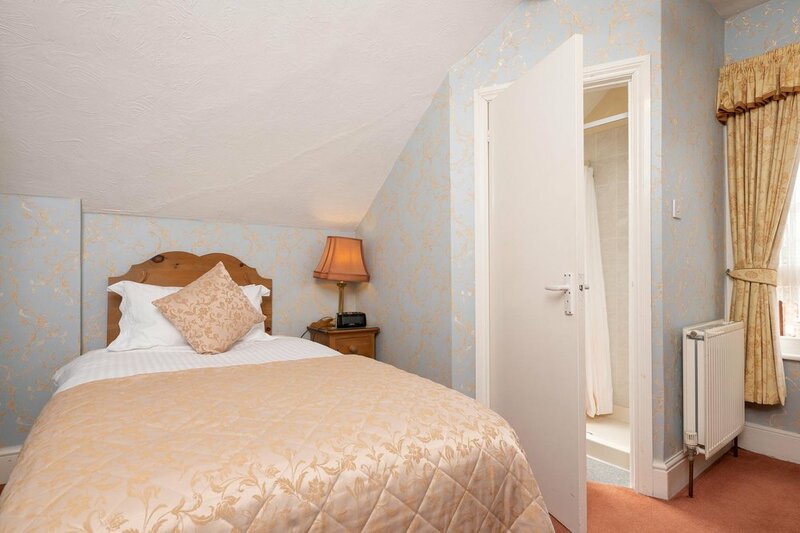 Treat yourself to our beautiful Patricia room, with a king size bed, bay windows and sea views. Bathroom with bath and integrated Thermostatic Power Shower, Flat Screen LCD 37in TV, hairdryer, complimentary toiletry welcome pack, hospitality tray, FREE Wi-Fi internet access and clock radio alarm. HIgh Quality King size bed and private balcony. En-suite with Flat Screen LCD TV, hairdryer, complimentary toiletry welcome pack, hospitality tray, FREE Wi-Fi internet access and clock radio alarm. Twin beds, en-suite with Flat Screen LCD TV, hairdryer, complimentary toiletry welcome pack, hospitality tray, FREE Wi-Fi internet access and clock radio alarm. Sleeps 2, minimum age of guest: 4 yrs old. These rooms are for 2 guests max and have a King size double bed and a single bed, en-suite with Flat Screen LCD TV, hairdryer, complimentary toiletry welcome pack, hospitality tray, FREE Wi-Fi internet access and clock radio alarm. King size bed plus single bed. En-suite with Flat Screen LCD TV, hairdryer, complimentary toiletry welcome pack, hospitality tray, FREE Wi-Fi internet access and clock radio alarm. Double bedded room with private balcony. En-suite with Flat Screen LCD TV, hairdryer, complimentary toiletry welcome pack, hospitality tray, FREE Wi-Fi internet access and clock radio alarm. Double bedded room with en-suite, Flat Screen LCD TV, hairdryer, complimentary toiletry welcome pack, hospitality tray, FREE Wi-Fi internet access and clock radio alarm. Extra wide single bed en-suite with Flat Screen LCD TV, hairdryer, complimentary toiletry welcome pack, hospitality tray, FREE Wi-Fi internet access and clock radio alarm. Sleeps 1, minimum age of guest 4 yrs. Single rooms are not served by the lift. Summerhill offers 3 disabled friendly bedrooms on the ground floor, as well as additional rooms that are accessible by lift. 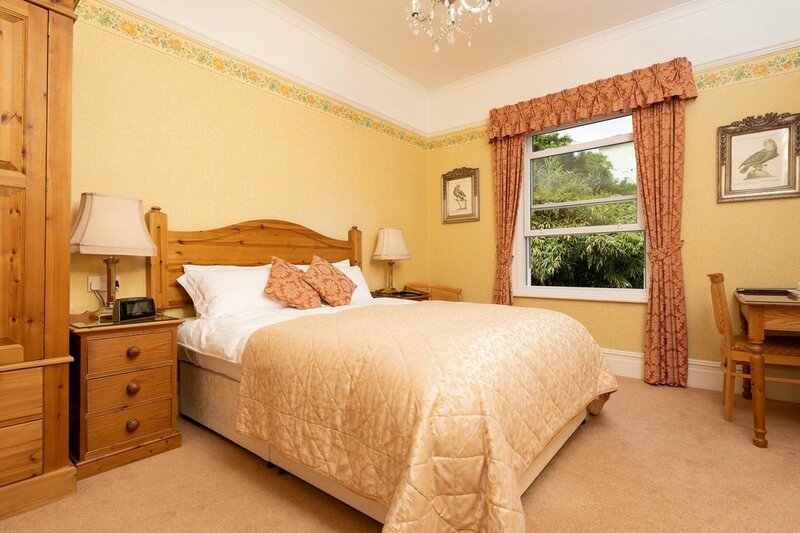 Ground floor bedrooms are suitable for a disabled person accompanied by a non-disabled adult. Level access into the hotel from the drop off/pick up bays is 15-24 easy paces to the main door. Also located on the ground floor are the Lounge, Dining room, Sun lounge and Bar, as well as a disabled friendly toilet. The front garden has a terrace accessible through a ramp with seating area and sea view. Please call us on 01803-558101 to reserve any of these rooms.